Planning for your pet’s health. At Grange Vets, we believe that a proactive, preventive approach to your pet’s healthcare is far better than waiting until your pet is vulnerable, ill or suffering to put things right. 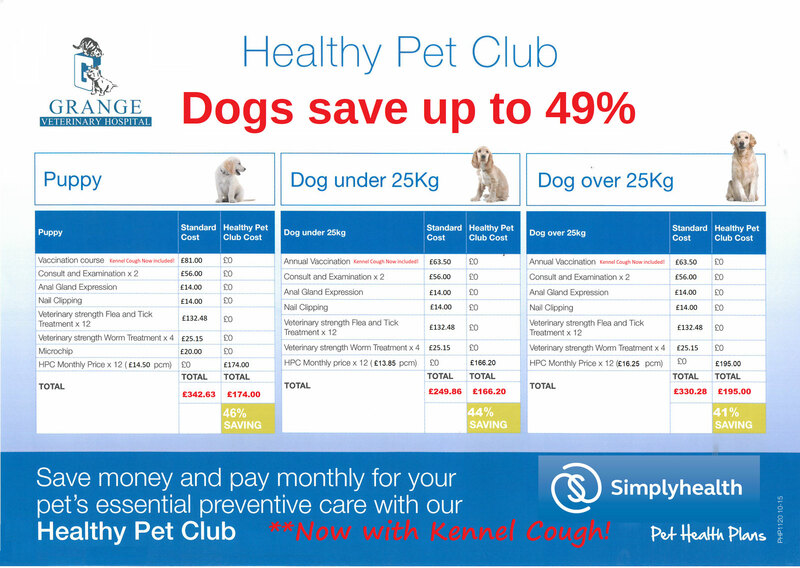 We want to make responsible pet ownership simple and affordable, which is why we have designed these Pet Health Plans. Pet Health Plans are not pet insurance: Pet Health Plans include the regular things – like vaccinations, flea, worm and parasite treatments, health checks and advice in your monthly payment plan – that pet insurance generally doesn’t cover. However young or old your pet, a Pet Health Plan is designed to adapt to your pet’s needs, from puppy or kitten to adulthood and throughout its senior years. Call in at the practice to complete a simple application form which will include full details of the Agreement. You will need to bring your bank details. 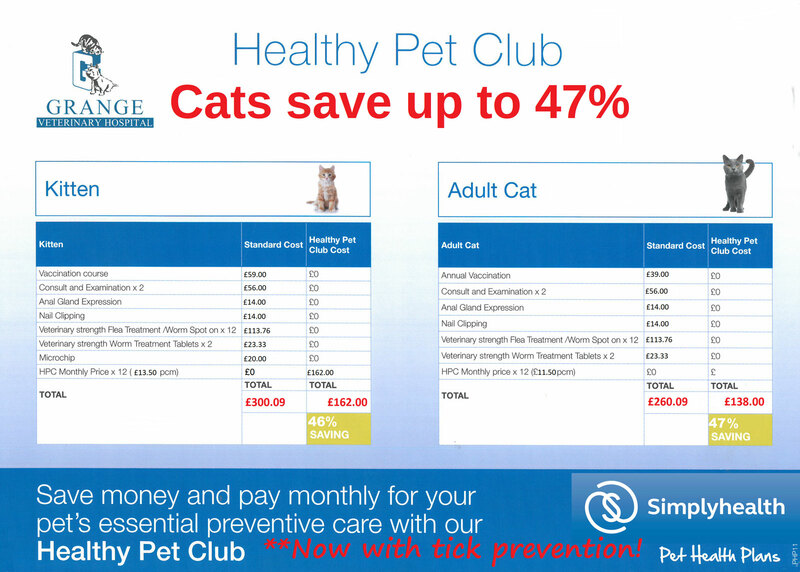 Alternatively, please call the Pet Health Plans team on 0800 169 9958 to join over the phone. You will be sent a Pet Health Check Record book with your welcome pack, in which you will also find a copy of your full Agreement details. You have 14 days to cancel should you want to. Interested? We thought you may be. Please call us on 01352 700087 if you’d like more information.